The machine that John was moving with two other workmates. ‘Mr. C. J. F. Petra said he was working with deceased last night. Vasse and Kean asked deceased if he would give them a hand to move the mixer. Witness did not notice anything more until he heard a shout and saw the deceased holding onto the machine with his two hands. 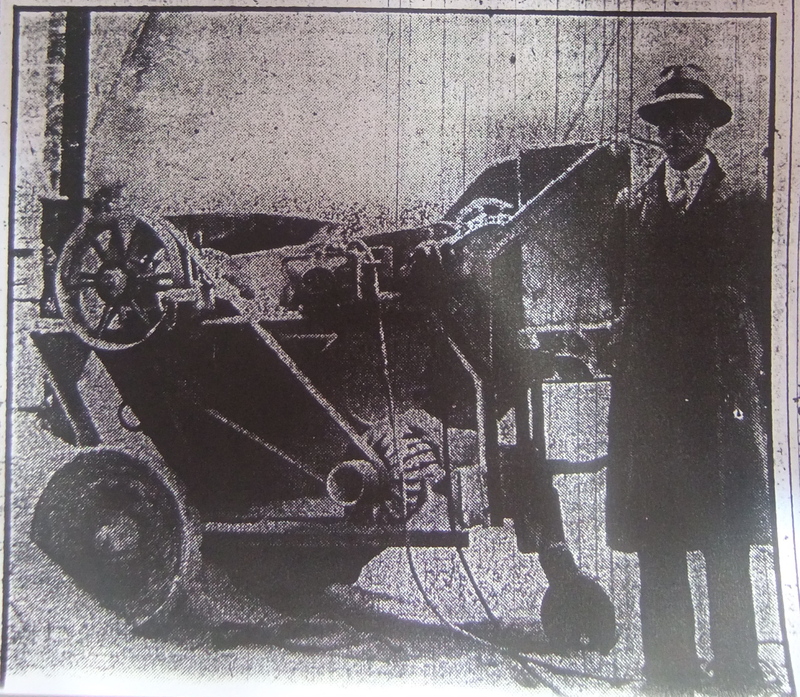 Witness realised the machine was electrified when he saw Vasse, Kean and deceased struggling to free themselves from the machine. Witness called to the foreman to switch off and the three men collapsed to the floor. By the Solicitor-General: There were three machines in the store and the usual rule was to switch off if the machines were moved for any reason. He had not actually had that order given up. Both witness and deceased were lorry drivers and worked overtime in the store in the evening. This had been going on for a month; deceased had worked on the machines before. John was known by two names firstly John Frank Edwin Lozuet, but mainly as Roy Davey. It is very important to find out if ancestors had nicknames when researching your family tree. John was adopted by my great grandfather George P. Davey – I knew that, but do not know who his real father is. His birth date – 5 August 1915. He died at the young age of 23. His mother Clara Eliza Lozuet never got over his death. 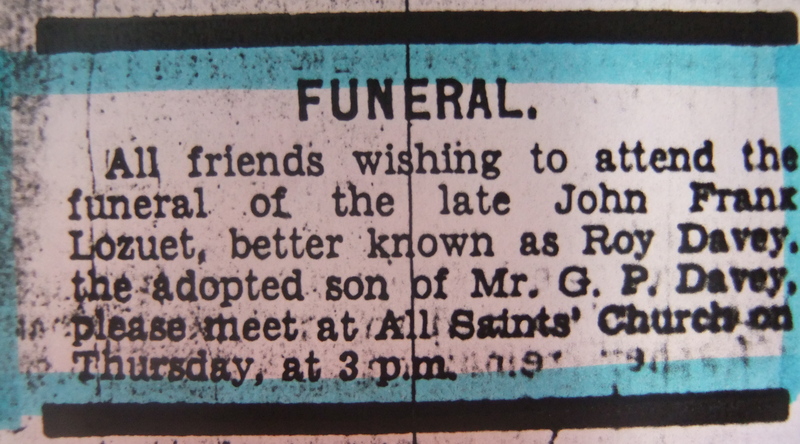 The funeral details in the J. E. P.
Below is a letter of condolence that Clara received in the post after John’s death. 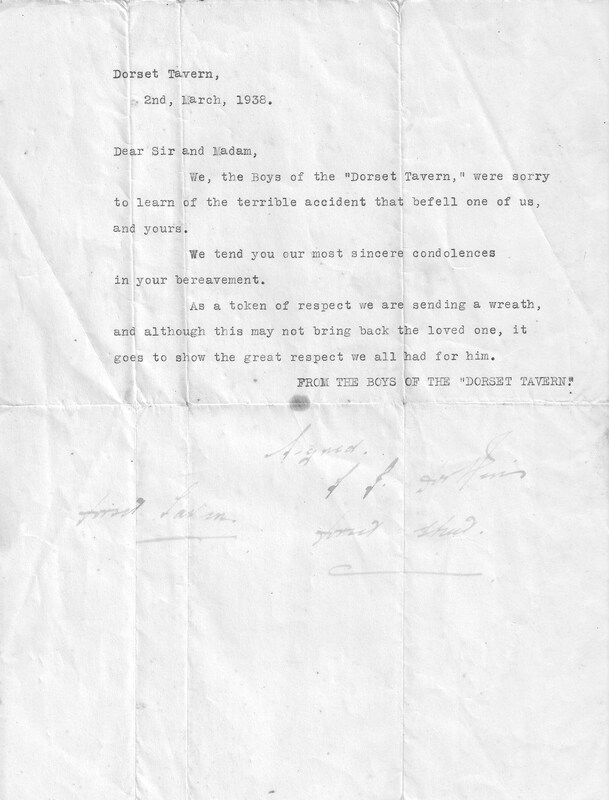 A letter of condolence to John's mother, Clara Lozuet from the boys of the 'Dorset Tavern'. Dorset Street is where the family were living at the time of the accident. Below is a photo of Roy doing one of his favourite past times, horse riding. 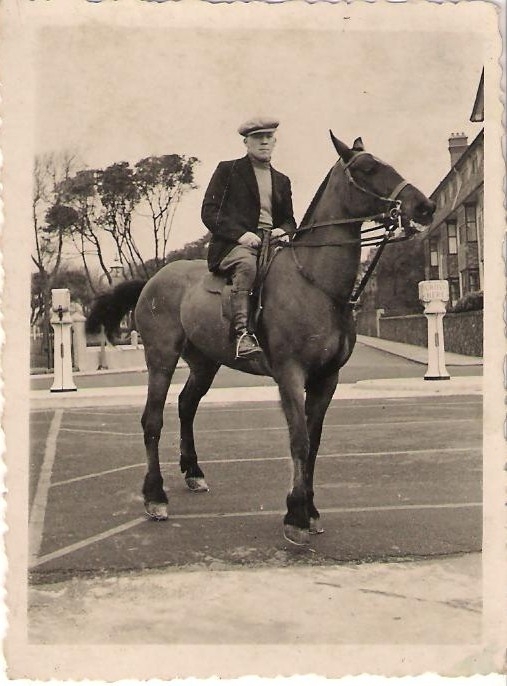 I know very little about Roy’s horse riding except that it was thought that he trained/rode private horses for people.